What are the best meats to smoke ? When the weather starts to get hot and everyone is enjoying grilling outside, many people have their minds instantly turn to thoughts of smoked meat. Regardless of your technique for smoking the meat, it’s easy to say that smoked meat can be some of the most satisfying food associated with the summer season. It’s excellent any time of the year but when the weather is just so perfect outside, it can be difficult not to crave your favorite flavors. If you’re just getting into the habit of smoking meats, then you may be curious about which meats are the best to use. There are so many different options available to you that it can be hard to choose. Honestly, even if you just decide to go with the classics, you’ll be in for a good experience. There is a lot that you can learn about which meats are worth going out of your way to try, though. There are a plethora of different meats that you should want to try to smoke. The flavors you can achieve are simply fantastic and you’ll surely be a big hit at the summer cookout. You shouldn’t be afraid to venture outside of the box when experimenting with smoked meats. The ideas presented here will give you a good starting point and you’ll be able to enjoy the best smoked meats possible. For a classic option, consider starting out with pork ribs. They’re a very fatty meat, which makes them perfect for smoking. Using either an applewood or hickory smoke wood would be your best bet for getting the best taste out of your ribs. 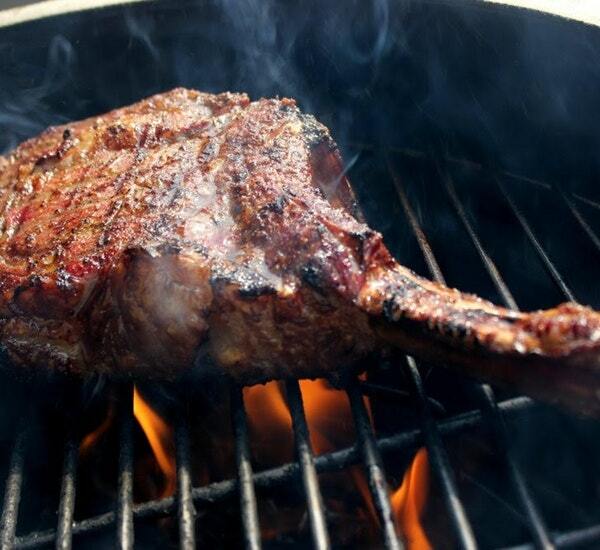 If you smoke them properly, the meat will begin to fall off of the bone because of how tender it is, making for an excellent dining experience. Beef brisket is one of the best meats to smoke and another amazing option that you should try if you’re serious about smoking meats. Smoking this meat will cause all of the fat contained in it to melt, creating a delicious mix of juiciness and flavor. This can be a sweet and tender meat that anyone can enjoy. It’s not too difficult to work with and is excellent for Texas-style barbecue. For something unique, consider smoking a Cornish hen. This is tougher to manage than many other types of meat so you need to be careful that you don’t dry it out. Using brine on this meat properly is essential to get the best results possible. Smoke this with a mesquite wood and you’ll be in for a treat. You can smoke a whole turkey if you’re so inclined. This isn’t a meat that should only be relegated to Thanks giving dinner because when you smoke it properly, it turns out incredibly well. You can prepare a turkey for smoking as normal and it works well with various different smoke-wood options. This is a good place to begin some experimentation as you can discover which smoke-woods are going to become your favorites. Smoking deer meat is a great way to make use of any meat you’ve been storing from your last hunting trip. Any part of a deer will work fine for smoking but going with tenderloins will make for some particularly fine dining. If you want it to turn out as fantastically as possible, try to brine it overnight. It can soak in the moisture and will turn out much better because of your efforts. « Best Potatoes for Soup – Which Spud?